Man is fearfully and wonderfully made. And given a choice of whom to serve, many who have yielded to the dark are doing it in ignorance, forced to create evidence to promote lies, like the ones that declare the safety of Round Up and GMOs. Trusting in their corporate paycheck, they are blind to the spiritual war surrounding them. But others know exactly what they are doing, in league with their taskmaster whose goal it is to kill, steal and destroy. The use of the food supply as a method to achieve global genocide is abundantly clear. Thankfully, there remain those committed to fight the lie and seek the truth through credible, scientific research methods. 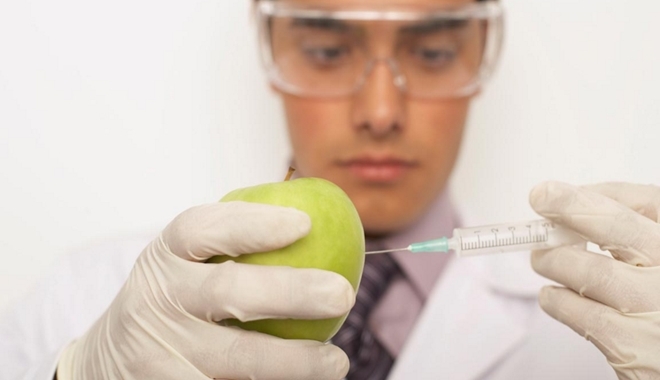 And they are discovering that the consumption of GMO food can have devastating effects on the cellular functions of our body’s mitochondria, whose job is to transform the molecules of the food we eat into a chemical energy that our body can utilize. This chemical energy is ATP, or Adenosine Triphosphate. This is the very energy that allows us do everything. Dr. Alex Vasquez, who is a recognized authority on mitochondrial dysfunction, says that the list of diseases include: Alzheimers, Parkinsons, Autism, hypertension, diabetes any type of allergic reaction, diabetes, auto immune diseases, inflammation and more. He also cautions to not just look to glyphosate as the sole culprit, but to the additive effects with other industrial chemicals, inerts, solvents, surfactants, rocket propellants and so many more that our world is saturated with. In the video below, even with that caveat, Dr. Vasquez makes it clear that glyphosate is “a pesticide, antibiotic, and toxic chemical that causes DNA damage in humans, reproductive toxicity in many animals (presumably humans as well) and mitochondrial dysfunction.” This presentation also includes details on how this wretched chemical is forced into other nations through trade agreements. Dr. Vasquez has entitled Glyphosate the “Toxic Chemical of the Year.” Watch this, share this and you will be armed with all the documentation you need to combat this beast. It was used “as a metal chelator that was used to clean or descale commercial boilers and pipes (2). Glyphosate binds to and removes minerals such as calcium, magnesium, manganese, copper and zinc that are vital to our health.” Man is made from the soil, our health is dependent on its health. All around the World, a billion pounds has been sprayed globally as diseases are rising. Monsanto’s track record of defaming our soil is legendary: PCBs, DDT and Agent Orange. Why should we expect a change? There have been two more patents on the death chemical glyphosate, but the party line that it causes no harm continues to percolate from Monsanto, their paid lobbyists and Congressional lap dogs, universities dependent on endowments provided by bio-agriculture interests, billions of dollars of investments via the Gates Foundation, the American Medical Association and lying politicians, “scientists,” the American Medical Association, the WTO, World Bank, and the United Nations as well as thousands of diverse individual and corporate interests globally. So, what can you do? Boycott all GMO products. Spread the truth to combat the lie. Most importantly, get into your prayer close to fight the real demons behind the scene.